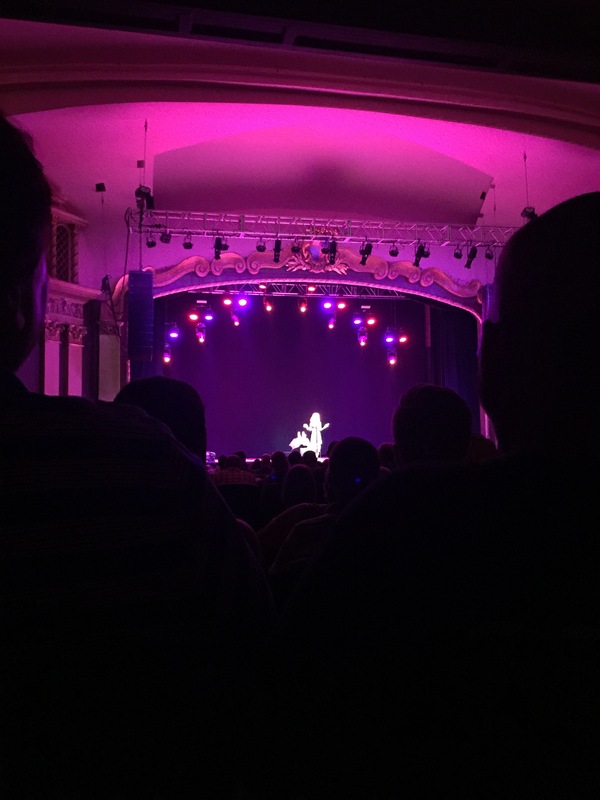 I won tickets from Maine Today to see one of my favorite comedians, the brutally honest Kathy Griffin at the State Theatre. 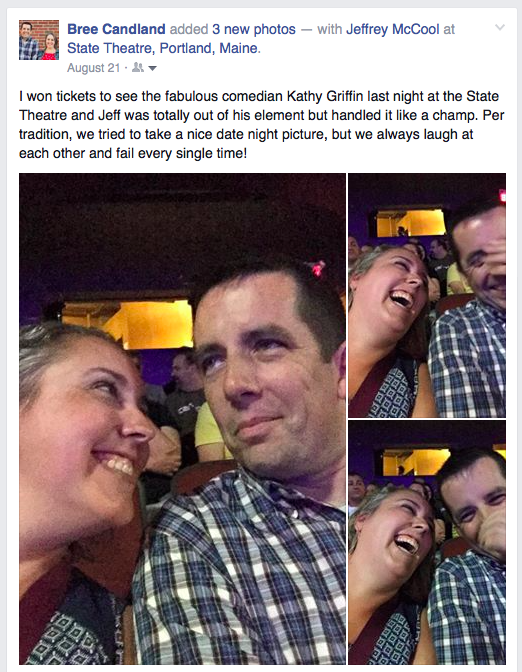 I asked my sweetie to join me, and we chuckled as we took our seats at the packed State Theatre as we realized he was decidedly not the typical Kathy fan. It was a brutally hot night, and after an A/V glitch that started Kathy’s introduction video at the end, she joked about how high end the State Theatre was with their quality A/V department and swanky air conditioning. The fans the State Theatre crew put on stage essentially surrounded her and blew her hair sideways and, as she laughed at herself, I appreciated how down to earth she seems. I’d seen Kathy all by my lonesome in Boston years ago, and it was great to have her in Maine. She made an effort to tell some jokes about Maine alongside her usual celebrity run in stories. She’s a walking gossip column, except her stories are firsthand and it seems like she’s as star struck by celebrities as we are entertained by hearing about them. Kathy’s humor is definitely not suitable for young people, but she keeps it real and seems like an approachable, normal (if eccentric) person. She dished about meeting Lady Gaga, for example, who gifted Kathy eggs from her own chickens, and described her comical firsthand experiences meeting many other celebrities, too. We celebrated her now 95-year-old mother, Maggie, who, when Kathy took her out for birthday dinner in the late afternoon on Hollywood Boulevard, lamented she didn’t get to see any celebrities. No wonder Kathy doesn’t take herself too seriously. There were very few straight men in the crowd, but Kathy gave them special attention and made sure to call for their attention specifically when she thought one of her stories would be about someone they might have heard of on ESPN. I laughed after the show when Jeff asked me who the Kardashians were and what a Real Housewife is. I am totally fine with him not knowing a thing about either! We still laughed together the bulk of the show. Always a treat, Kathy!